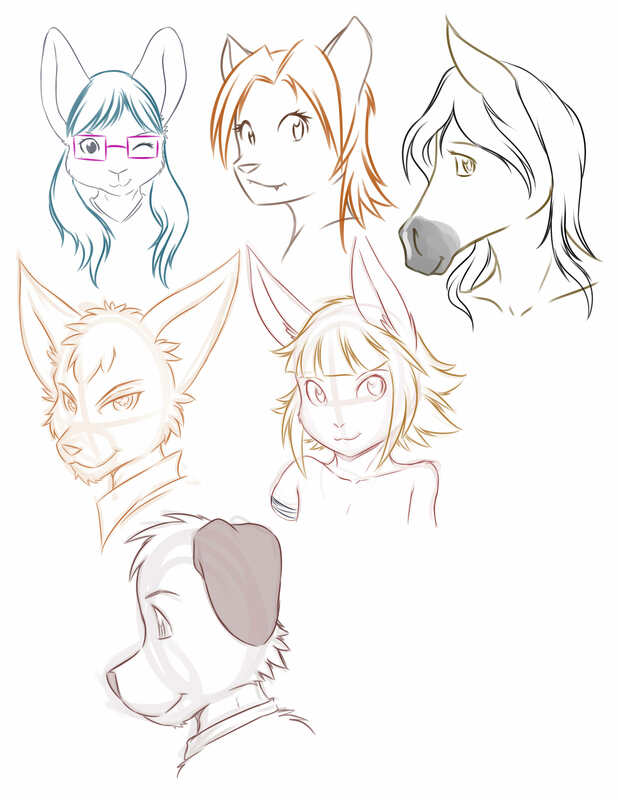 Did a random sketch stream where I drew head shots for everyone character. Forgive I've already forgotten the characters and who they belong to, if you post in the comments I'll edit this and make sure your character is properly credited. Top left is mine, Elise, the white mosaic chinchilla. Really nice work on all of these. BOOM! Headshots! Really nice work on all of these.